I previously had no intention of watching the sequel to Space Jam, even with LeBron James’s involvement. It wasn’t gonna be on my To Do list. I remember the original Michael Jordan-starring Space Jam being oodles of fun and displays of athleticism when I saw it during a class trip, but not enough to welcome a sequel into my life as an adult. However, LeBron James clearly has other plans for me. 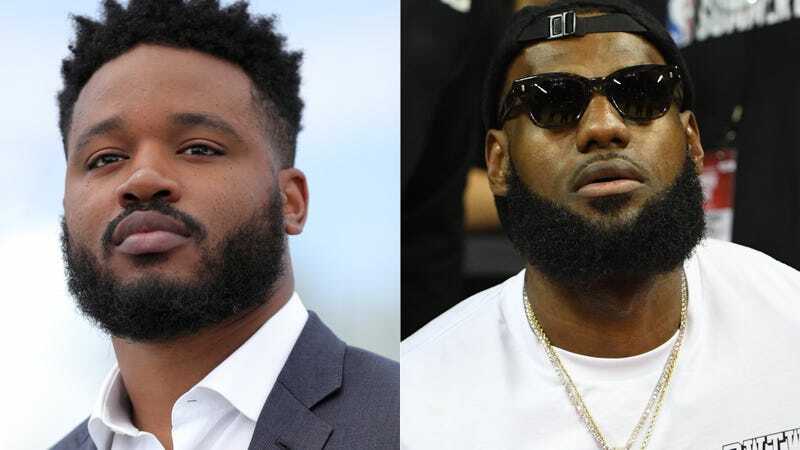 The Space Jams sequel he’s working on has two reliable names now attached to it: Ryan Coogler (the director who’s already made three exceptional movies Fruitvale Station, Creed and Black Panther) will produce the film; and Terrence Nance, who’s behind the new topically offbeat HBO series Random Acts of Flyness, is directing... THE SPACE JAM SEQUEL. Production on the Warner Bros. film is tentatively slated for 2019, during the NBA offseason. It will be James’ first starring role after a successful turn as a supporting character in the 2015 Amy Schumer comedy Trainwreck. Space Jam has been long-rumored, with various directors and writers attached to the project over the years, including at one point Justin Lin, the action auteur behind the Fast & Furious movies. The movement on the movie coincides with James’ recent surge in Hollywood film and TV projects as a producer. Just last week, NBC and The CW announced separate shows in development with James’ SpringHill Entertainment. There’s suddenly a lot of potential for Space Jam 2 to be a modern-day classic, right alongside The Purge. It’d be a journey to try to rewatch the first Space Jam in 2018 (I won’t try). As Deadspin’s Giri Nathan wrote in a post about how Space Jam was bad: “Sitting through Space Jam right now would not be as fun as you remember. You are probably also misremembering the amount of fun you had watching it at the time.” But I’m fully willing to watch Space Jam 2.